It's the perfect time to pick up a new hobby this summer. 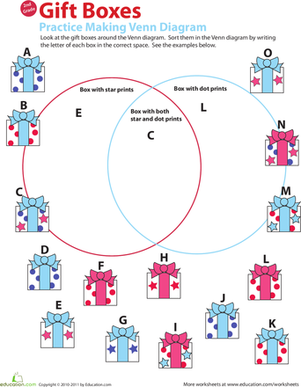 Practice reading Venn diagrams with some of the most popular summertime hobbies. Your child will learn to analyze and interpret data by answering questions about the Venn diagram. Students practice creating a Venn diagram by organizing the pool toys into the correct categories. Students will also learn to differentiate between shapes. 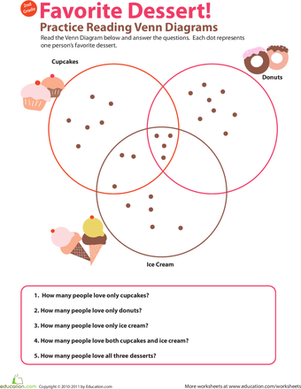 Find out how to keep track of your friends' favorite foods with this Venn diagram for kids. 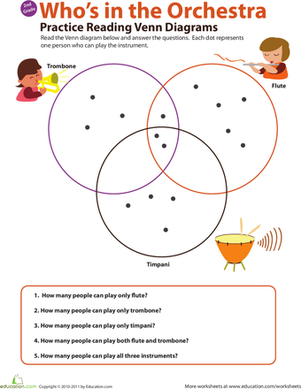 Kids practice reading a Venn diagram about instruments in an orchestra and answering questions about it in this 2nd grade math worksheet. Students will practice coming up with questions by analyzing the data given in this Venn diagram.